Translating client needs into concrete visuals and designs and other creative deliverables. Eric graduated from the University of Cincinnati DAAP with a bachelor of science in design from the industrial design school. 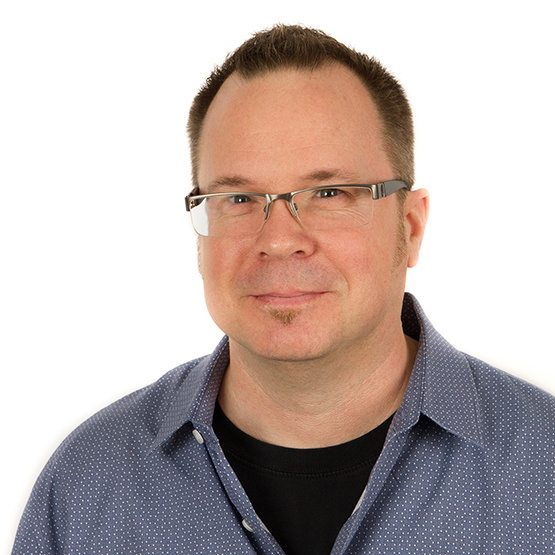 As a pioneer in technology-based design, Eric has worked on interactive solutions for clients for over 20 years. His experience ranges from motion graphics, web design, eLearning solutions, and interactive kiosks to augmented reality and other emerging technologies. Before TiER1, Eric was Director of the Interactive Media department at Possible worldwide, a large marketing agency. At TiER1, Eric has worked on large scale solutions with a diverse range of Fortune 500 clients such as Macy’s, P&G, Harley Davidson, GE, and Luxottica retail. Eric is an avid guitar player/musician and writes music. Eric believes his potential is fully realized when he uses the talents that he has been given to lift people up and help others become better versions of themselves.